Hello my lovelies! Aimee here with a quick pendant to share with you. I work part time at a car dealership and I thought I'd like something kind of mechanical related to wear. Remove the blue liner from the front of the charm. Apply Alcohol Inks. Paint entire front of charm with Glastique and quickly add glitter and mica. Let dry. Punch out the smallest little set of gears from the Piccolo set and coat with Enamel Gel. Set aside to dry. Once the gears are dry, start assembling the charm. Choose your word sticker and paint the back with Glastique and adhere to the charm. Paint over the front of the sticker with Glastique. 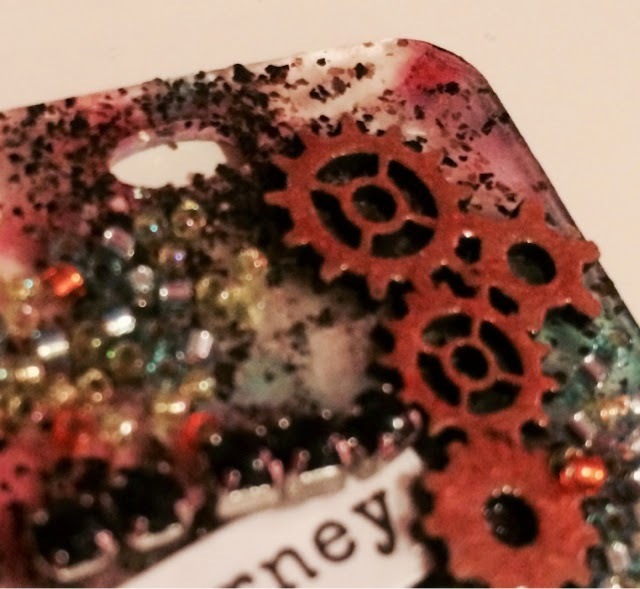 Use the toothpick and add E600 to the back of the gears and add to the charm. Use E600 to add a little bling. Paint over charm again with Glastique and add more glitter and some tiny beads. Let the entire thing dry, add a jump ring, and put on a necklace. 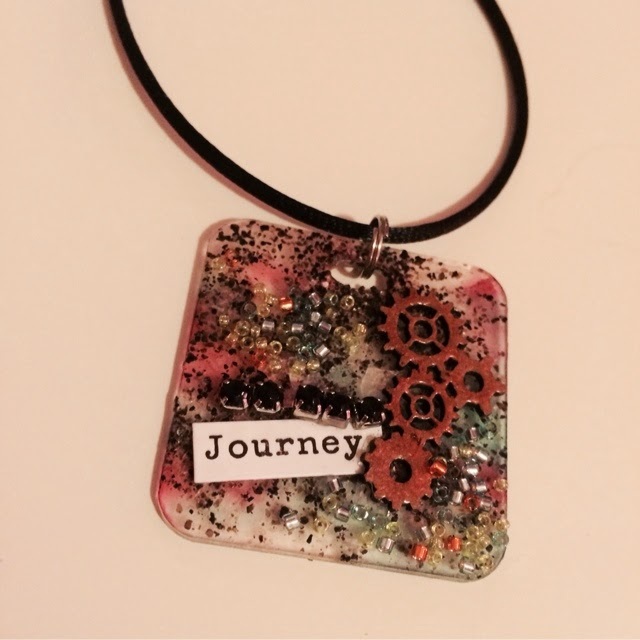 Awesome pendent, love the colors you used for the background and gears and love the texture of the added bling.